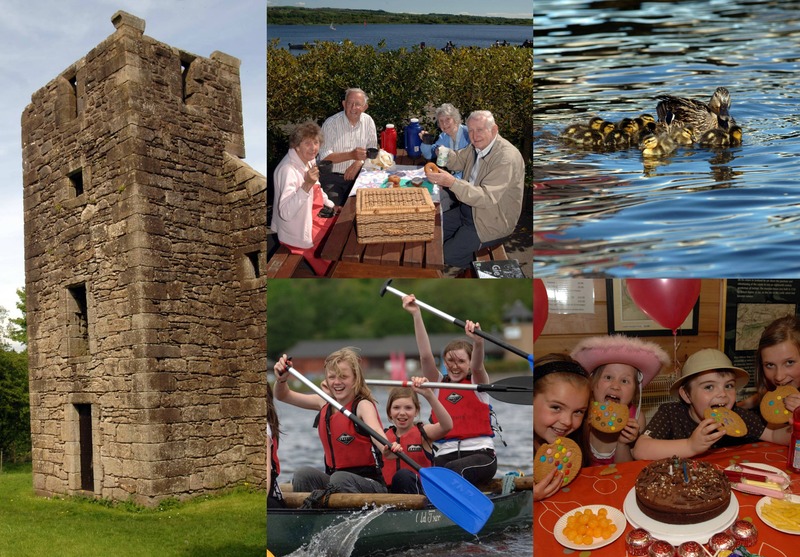 Please see Opening Hours for access to facilities at Castle Semple Visitor Centre, cafe and toilets. Tracks, trails and car parks are open all day, every day. 2. Walk (or cycle) the 4km Johnshill Loop taking in Parkhill Wood and the lochside. 4. Feed the ducks or enjoy a family friendly Event with the Countryside Rangers – advanced booking on event days essential. 5. Enjoy a coffee or an ice-cream and the lovely view from the Visitor Centre Café. • Semple Estate Historic Map & Exhibition – please phone in advance to check access if coming specifically for this. • Fishing Permits – Permits for coarse (non-migratory) fishing on Castle Semple Loch are available from the Visitor Centre. The loch has perch, pike and roach. Eels can also be caught. 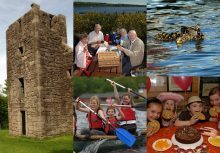 Local clubs St Winnoch Angling Club or Castle Angling Club can give you more information on boats and have the rights for migratory species such as salmon and trout. Local fisheries include Howwood.